Docosahexaenoic acid (DHA), an important ω-3 fatty acid, is abundantly present in the central nervous system and is important in every step of brain development. 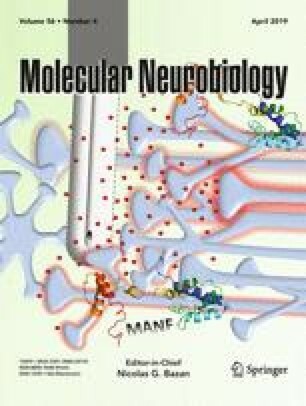 Much of this knowledge has been based on studies of the role of DHA in the function of the neurons, and reports on its effect on the glial cells are few and far between. We have previously reported that DHA facilitates astrocyte differentiation in primary culture. We have further explored the signaling mechanism associated with this event. It was observed that a sustained activation of the extracellular signal-regulated kinase (ERK) appeared to be critical for DHA-induced differentiation of the cultured astrocytes. Prior exposure to different endocytic inhibitors blocked both ERK activation and differentiation of the astrocytes during DHA treatment suggesting that the observed induction of ERK-2 was purely endosomal. Unlike the β1-adrenergic receptor (β1-AR) antagonist, atenolol, pre-treatment of the cells with the β2-adrenergic receptor (β2-AR) antagonist, ICI-118,551 inhibited the DHA-induced differentiation process, indicating a downstream involvement of β2-AR in the differentiation process. qRT-PCR and western blot analysis demonstrated a significant induction in the mRNA and protein expression of β2-AR at 18–24 h of DHA treatment, suggesting that the induction of β2-AR may be due to transcriptional upregulation. Moreover, DHA caused activation of PKA at 6 h, followed by activation of downstream cAMP response element-binding protein, a known transcription factor for β2-AR. Altogether, the observations suggest that DHA upregulates β2-AR in astrocytes, which undergo endocytosis and signals for sustained endosomal ERK activation to drive the differentiation process. The work was carried out from the financial assistance of the Council of Scientific & Industrial Research, New Delhi. MD was a recipient of fellowship also from the Council of Scientific & Industrial Research, New Delhi. Animal experimentation was approved by the institutional animal ethics committee appointed by CPCSEA (Committee for the Purpose of Control and Supervision of Experiments on Animals) of the animal welfare division under the Ministry of Environment and Forest, Government of India (Registration no. 147/CPCSEA).